Our bindery department has state of the art equipment to help finish your project. We can handle your stitching, numbering, drilling and folding in-house. Our new Daeho cutter is top of the line in effeciancy and accuracy, helping us get your job to you even faster. We seperate ourselves from the competition by hand delivering our jobs whenever possible. We like our customers and want to see them every chance we get. This department can help you with new ideas for a project as well as estimating so that you can keep everything within budget. Call Gaylyn if you need help with a new idea or just need to brainstorm on a marketing plan for your business! Our pre press department is who handles your files when they come in. They are responsible for sending your proofs, signing off on press sheets and press checks. We added Computer to plate (CTP) in November, 2006 to create a faster workflow and more reliability on your jobs. We want your jobs to come out just as you planned and this department is where it all starts. 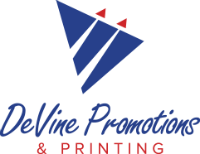 Our pressmen are the best in the industry and strive to make you look good. They work hard to make sure your project comes out just as you anticipated.